There are two types of revolutionary movements, those that discharge their accumulated energy on returning power to the people and those that invest that energy into building up systems. Both are approaches to remedying injustice. The former gives the people the responsibility to guard their freedoms, the latter presumes that injustice can only be remedied by systems, not by people. The former is democratic, the latter is autocratic. The modern day liberal is autocratic. His beliefs are the product of an aristocracy which rejected rule by a hereditary aristocracy, in favor of rule by an ideological aristocracy. They called this process by which one elite winnowed itself down, revolution, but such purges were not true revolutions, they were the transition of power from people who ruled because of their blood, to people who ruled because of their revolutionary consciousness. These people too generally came from the upper to middle classes. The only difference was they believed in a new kind of aristocracy. An aristocracy built on the right of those who knew better to rule in order to improve the lives of those who did not know better. That boiled down, is the essence of the left. Democracy is not idealistic, it is realistic. It must be realistic because it disperses its decision making among the people who rule it. Those people have natural human failings. Rule by democracy means playing the odds. It means not investing too much in any particular wave, but having confidence that the combined waves will eventually carry the ship home. Centralization is alien to democracy, because it means investing in systems at the expense of the people. The increasing centralization of a government also means a reduction in the extent to which the people participate in its decisions. In a democracy, individuals do the long term planning, while governments do the short term planning, because all long term planning is subject to revision, when the government is subject to revision. This is its weakness as it combines a wise people with a government that has difficulty thinking more than a few years ahead. When central planning becomes the focus however, individuals do only short term planning, while governments do all the long term planning for them. This is a far more devastating weakness in the long run, because it combines a foolish people with an arrogant government. Liberal aristocracy is not realistic, it is idealistic. It does not follow workable policies, but policies that it believes must work, because they accord with their ideological view of the world, or simply the will of their leader. Where democracy suffers from 'spot fallibility', the centralized systems of the left suffer from 'total fallibility'. This resembles a unit with several internal serviceable parts that can be swapped out and replaced, as opposed to a sealed single integrated unit that cannot be serviced. The former can have parts that will fail and be replaced, and still go on working. The latter will simply fail and take everything down with it. Movements which claim to be revolutionary and liberationist, which instead are quickly revealed to oppressive and elitist, reveal a fundamental hypocrisy. And grand hypocrisy in the ideals of a movement demonstrate its unworkability, just as a product whose description differs fundamentally from its actual functionality will never do what its buyers expect it to do. In a political movement, hypocrisy may be similarly described as a divergence between words and actions. When words and actions dramatically diverge, it means that the stated purpose of a movement is not its real purpose. The stated purpose of the left is to liberate, but its actions are oppressive. And it is its actions which are therefore truly revealing, not its words. Hypocrisy is revealed in that gap between actions and words. The wider the gap, the more unstable the actual policies of the movement will be. Since goals are most easily met when there is the least divergence between the real goals and the stated goals, major gaps result in goals which can never be met. When goals are unmeetable because of flaws in the ideals of the movement itself, the movement can either confront the gap between its ideals and its actual aims, or maintain ideological conformity through ideological xenophobia, by blaming outside enemies and internal subversives for its failures. Either way its only remedy is likely to be more of the same, expanding the very systems that are failing. Ideological autocracies that are revolutionary require a constant revolution to maintain their vigor. This means fighting internal and external enemies. Since political autocracy is institutional, liberal autocrats thrive on tearing down existing institutions and replacing them with their own institutions. Habitually distrustful of natural institutions such as the family. they insist on replacing them with artificial institutions of their own making. Once overlaid with laws and given large responsibilities, these institutions quickly devolve into bureaucracies. The more control is exercised over them, the more centralized they become. Each modification only adds another layer of bureaucracy. 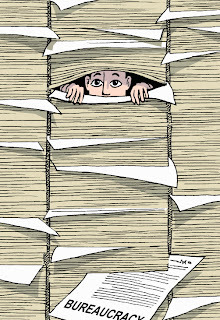 Reform of the bureaucracy then itself becomes an exercise in expanding the size and scope of the bureaucracy. 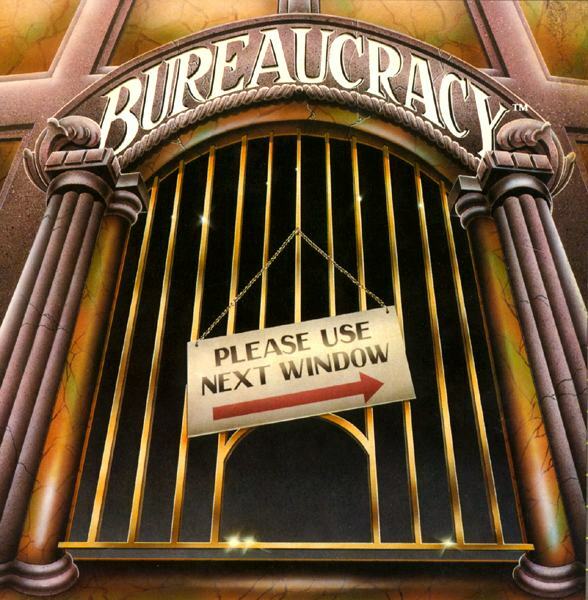 Bureaucracies also make for a wonderful cover for hypocrisy as they appear to be governed by wholly objective rules. This of course ignores the underlying bias at the heart of bureaucracy. The bias of the system. Human laws are those laws which protect human beings from each other and the system. Inhuman laws are those laws which protect systems from human beings. Bureaucracy thrives on inhuman laws, because by equating human welfare with its workings, it acquires a superhuman status. Bureaucracy becomes next to godliness. Centralization requires a constant expansion of the size of government in order to accommodate larger responsibilities. This process can rapidly transform a democracy into a bureaucracy, as such a system cannot be run by the people. Instead it is run by a series of internal laws, overseen by managers who outlast virtually all politicians. 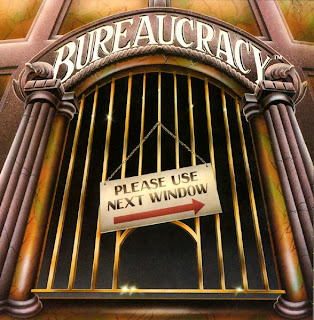 While politicians may try to dictate to bureaucracies, their ability to interfere in the internal workings of the bureaucracy is limited by the same process that makes it impossible to people to manage those bureaucracies. Size. Where businesses expand through revenues, bureaucracies expand through the scope of their responsibilities. Since all institutions seek to expand, yet businesses are limited in the scope of their expansion by their revenues, while bureaucracies are only limited by the scope of their responsibilities-- bureaucracies are able to expand well beyond businesses. And they are not bound by resources, as those resources are derived from the winners in the economy. Unlike businesses who have to bet on the right horse to win, bureaucracies win no matter which horse comes in first. Because they are built on resources taken from the businesses who won the bet. Bureaucracy is the perfect pair to liberal aristocracy, because both of them are undemocratic. Bureaucracy eventually swallows revolutionary impulses, making them into another aspect of the system. A system that is wholly corrupt, because it wields power without oversight. Thus bureaucracy becomes the ultimate expression of that fundamental hypocrisy at the heart of the revolutionary impulse by aristocrats promising freedom to the people they would rule over. It reaffirms their rule, drowns their opponents in regulations and fosters secret systems of loyalties and affinities within the bureaucracy that can be used for internal feuds and rewards. When power is invested in a system, the system itself becomes the expression of that power, wholly apart from any goals that it was originally meant to serve. When an ideology invests power in a system, the system comes to represent the meaning of that ideology. Bureaucracy is the terminus of all ideologies that steal power from the people. It is an expression of their belief in the system over the people. Those who would rule in the name of the people, must either give up power to the people, or cease to deny the hypocrisy at the root of their ideology. Bureaucracy is institutionalized hypocrisy, it is the product of rulers who believe in systems rather than in people. It consumes what the people produce, and its consumption has no limit beyond its ability to draw those resources from the people. Like every parasitic system, it is ultimately undone by its own parasitism, in that it will either weaken the people too severely for them to defend it when the time comes, or outrage them sufficiently so that they will overthrow it. Either way it is a dead end. And so are the ideologies that invest their energy in them. Daniel, I think that there are many other forces manipulating the direction of a country. One of them is money. The USA government has been and continues to be in the pockets of corporations. Sure, we now see other infiltrating forces, such as the extreme left and Islam, but money has been until now more powerful than any ideology. Since I'm no expert in political science I'd like to bring the subject back to Israel. 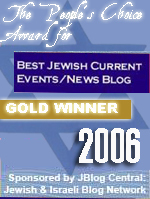 I check Israel National News first thing every morning. I'm growing weary of reading about more and more concessions, appeasements, retreats. Israel seems to be on a slide towards complete self-destruction. Although I don't understand Israeli politics, even I realize that Israeli politicians are NOT EVEN TRYING to do what is best for the country. This is a mystery. And approaching it as a mystery, I have to consider all possibilities for what motivates them. One of them is the old dictum "Follow the Money". Is there a chance that Israeli leaders' hands are tied because there is a powerful money elite in Israel that doesn't want to rock the boat? In other words, if the PM were to have a sudden change of heart and said We're going to set up a committee to proceed with annexation, the moneyed elite would scream, threaten and pressure the government NOT TO DO ANYTHING THAT WOULD AFFECT BUSINESS AS USUAL, such as provoking world boycotts of all Israeli goods and trade. Or bring another Intifada. After all, there are many Israeli businessmen exporting goods to Gaza and participating in Israel-PA ventures. Of course there are other interests impeding annexation, but what do you think about the power of Big Money in Israel willing to sacrifice land and more in exchange for immediate profits? 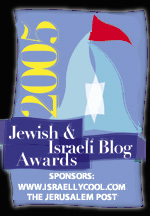 PS - your column "We Hate When You Defend Yourself" on Israel National News was very well appreciated. I hope you keep posting more of them on that website. in israel, certainly there's an elite that has been financially compromised. The EU and Soros have funded numerous orgs in Israel. And there's the knowledge that if you want to work internationally, particularly in the media, you have to take left wing positions. Considering how cheaply Olmert sold himself, and the Dov Weinglass casino stuff, all these are major issues. "Is there a chance that Israeli leaders' hands are tied because there is a powerful money elite in Israel that doesn't want to rock the boat?" Let me answer this question simply. The illegal rock quarries in the PA have as a silent partner the head of the Shabak. Any questions? 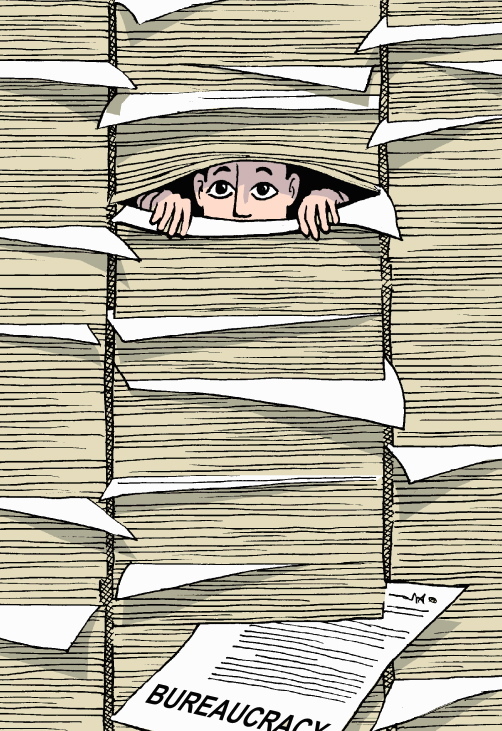 The nature of the bureaucratic beast can also be seen from a somewhat different viewpoint -- that of Paul Rahe whose article in Commentary (Feb. or Mar. 2011)was on how democracies, especially in large countries, tend to drift to centralization and an administrative (bureaucratic) state. The prime exportor of this drift is, of course, France. I'd say the EU is an example of what Rahe means. See Rahe's book "Soft Deposition, Democracy's Drift" (2009) for an expanded review.